The former president is helping a handful of Republicans in battlegrounds with hopes of keeping the Senate. A Republican president is coming to Florida to help Gov. Rick Scott's Senate campaign, but it's not Donald Trump. 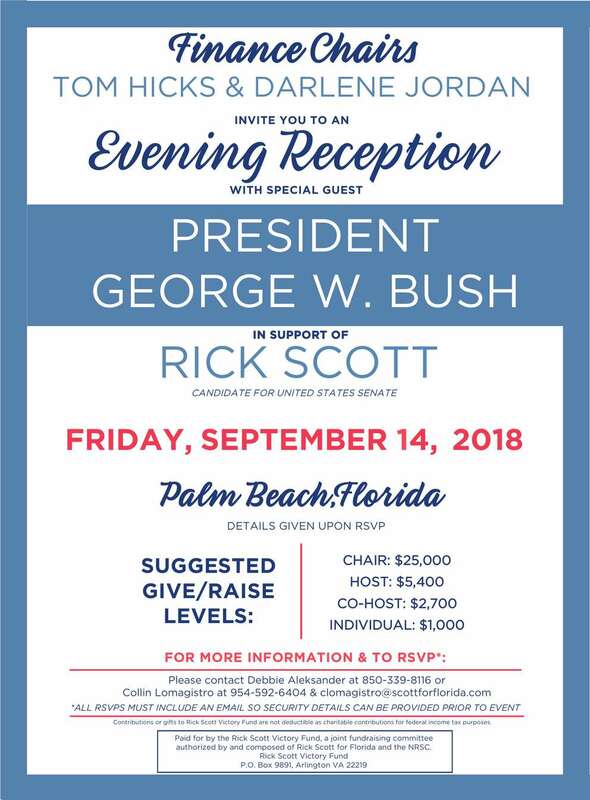 Former President George W. Bush is holding a fundraiser for Scott in Palm Beach on Friday, according to an invitation to the event obtained by the Tampa Bay Times. The suggested donation to attend is $1,000. For $25,000, prospective donors can "chair" the event. 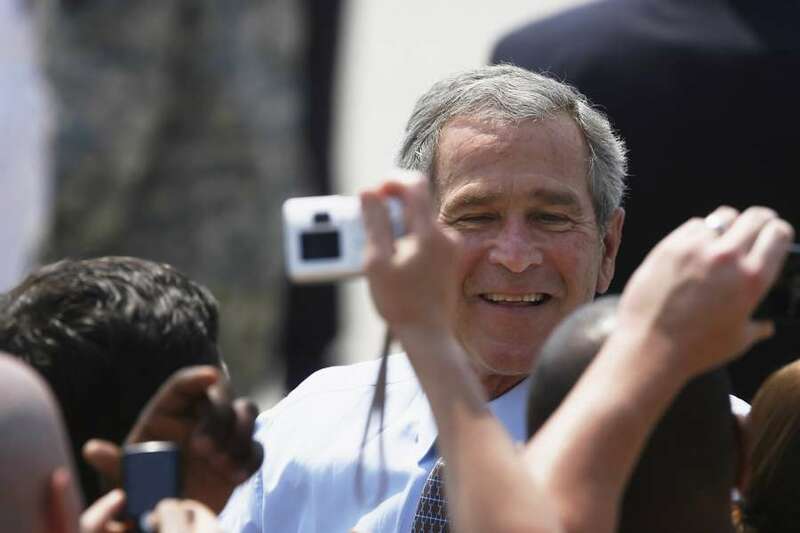 Politico first reported the Bush's expected appearance in the Sunshine State on Tuesday. According to the news outlet, the event is one of several Bush is holding for Republicans in important battlegrounds. Florida is one of a handful of states that could decide who controls the Senate in 2019. 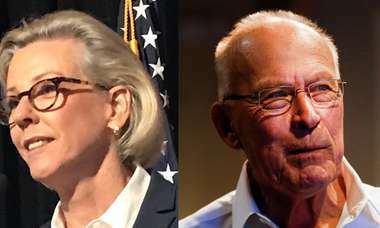 Scott is in a tight battle against Sen. Bill Nelson. The most recent polls show the race is neck and neck, with relatively few voters undecided. "While he prefers to consider himself retired from politics, President Bush recognizes how important it is to keep the Senate and decided to help a few key candidates," said Freddy Ford, a Bush spokesman, told Politico. Invitation to attend fundraiser for Gov. Rick Scott featuring former President George W. Bush.